BBCAt 114, Fredie Blom thinks it may be time to quit smoking. 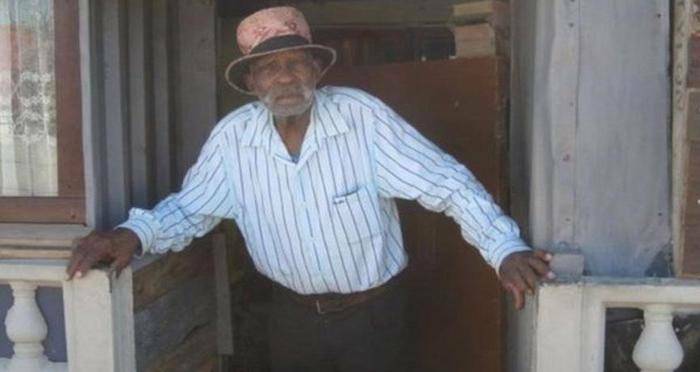 In 2015, after turning 111, Cape Town, South Africa’s Fredie Blom said that the only birthday wish he wanted was to die and that he was eager to meet his maker. Now, three years later, it appears that his wish never came true. According to his birth certificate, Blom turned 114-years-old on May 8, 2018. Though his age hasn’t been verified by the Guinness World of Records yet, if all checks out, Blom will officially be the world’s oldest man. While he doesn’t drink alcohol, Blom still smokes “pills,” which is local slang for tobacco that’s tightly rolled into a piece of newspaper. And now at the ripe age of 114, he’s thinking it may be time to give up the habit. “The urge to smoke is so strong. Sometimes I tell myself I’m going to stop but it’s just be lying to myself,” Blom told BBC. He smokes two to three pills a day but doesn’t have any real secrets for a long life. He doesn’t eat anything particular but has meat for every meal and eats a lot of vegetables. His wife of 48 years, Janetta, said that he has only been to the hospital once when he had a problem with one of his knees. Jannetta, who is 28 years younger than her husband, said that people have doubted Blom’s age because of the great shape he’s in. Fortunately, according to her, his niece went to East London to get his birth certificate so that they can prove his age. The record was previously held by Violet Moss-Brown, a Jamaican woman who died at 117 in September 2017. Born in the small rural town of Adelaide in the Eastern Cape, Blom moved to Cape Town when he was young. Because he never attended school, Blom can’t read or write. However, he can still recall his favorite childhood activity. In his adult years, he worked first on a farm and then for an installation company, and didn’t retire until he was in his 80s. Another thing he’s not interested in? Television. Blom used to wake up at 4:30 a.m. to work but gets up much later now. “I can’t do anything – I can’t even get on a ladder any longer. I just sit around. I don’t have time for the nonsense that’s on TV,” Blom said. But it makes Blom happy to know that people care about him. Everyone, from neighbors to provincial government ministers, has visited him over the years. And on his birthday he was given several big cakes to celebrate. “Thank you everyone for making this day special for me,” Blom said. Next read about the world’s oldest person who credited being single for her longevity. 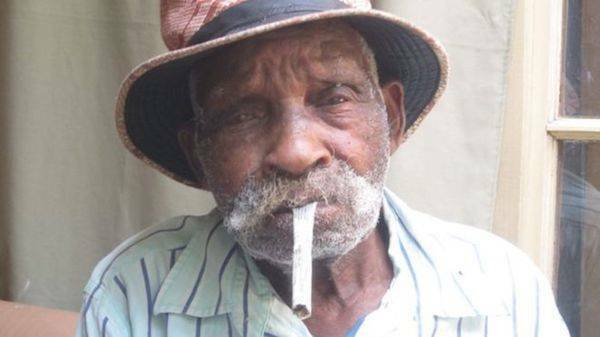 Then read about America’s oldest WWII vet who still smokes and drinks.